For parents of children and young people who have ADHD, this group meet to share wisdom, challenges and information. Guest speakers attend occasionally. Come along and enjoy listening to a couple of selected speakers at the Nelson Community & Whanau meeting. It is a great way to network when in the presence of like minded people. The meeting starts at 12 noon and runs until 1.30pm, around 30-40 people attend each month. All welcome. Many of us will soon be celebrating Christmas & New Year with family and friends. Come and find out what resources are available to support parents to help their teens make good choices about alcohol. The PLAN is a collaborative project between Nelson Marlborough Health and Health Action’s CAYAD project. Affordable knitted garments for babies and children for sale on 6 December at 10.00 am - support the library knitters who knit for charities, the hospital and local kindergartens. At the Elma Turner Library. 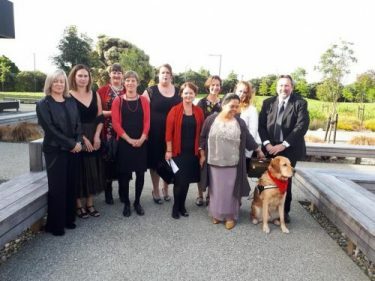 CNA has just had its biannual Hui – every second year we hold a hui to give members an opportunity to learn more about key issues affecting the community sector and to connect with others (in the year in-between we hold a national conference). As of 1 January 2019, Adult Learning Support will merge into our parent body, Literacy Aotearoa. We will operate as Literacy Aotearoa here in the Nelson/Tasman region.